Find hotel near Parque Da Floresta Encant .. Kids will be able to touch and live their favourite fables in this charming, clever park. 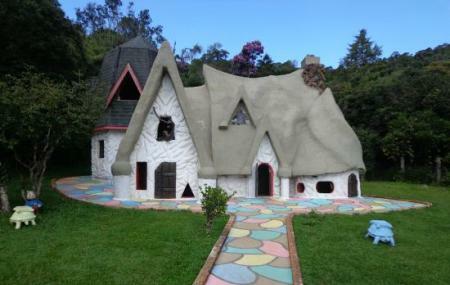 The iconic houses and homes from some of the most beloved children’s stories have been built in this park, including Snow Whites, House of the Gnomes, Santa’s House, House of the Dalmations, House of Dolls, House of Rabbits, House of Ghosts, House of Angels and the House of Witches. Decorated with crafts and memorabilia from all these places, the houses are endlessly fascinating to children. Bring your camera and be prepared to click a lot of pictures. There’s a cafeteria with decent items on the menu. R$10 during weekdays and holidays, and the month of July. Groups may get discounted rates..
How popular is Parque Da Floresta Encantada? People normally club together Amantikir Jardins and Nr Zoo while planning their visit to Parque Da Floresta Encantada. Good place to take children. The park is really small, tough.